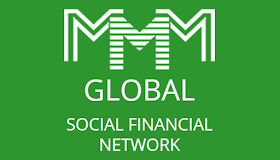 Over 92 hours since the ponzi scheme, Mavrodi Mundial Moneybox, MMM, announced its return and unfreezing of Mavros after a month’s freezing of access to requesting financial help (GH), it has again begun removing the Get Help (GH) access of some of the participants, otherwise called Mavrodians. The reason given is that the measure is to ensure a balance between Get Help (GH) and Provide help (PH). Although a few participants have claimed they had been paired with who would pay them their returns, otherwise known as Provide Help (PH), no one has been paid so far. Many have even begun lamenting the inability to get help despite the scheme’s announcement that the Mavros had been unfrozen. However, more anxiety have begun looming as most of the participants woke up today again to discover that their request for help have been removed, a situation that has further heightened the fears of the ponzi scheme really coming back to normal. 3.“Tuesday (Mavro growing day), a lot of participants created GH orders thus the message “GH amount exceeds allowed daily maximum”. “Let’s be patient while the Administrators of MMM do their best to restore the confidence we have in the system,” he wrote.